I received mine this morning just two days before the product launch. I was really worried it wouldn’t make it in time. Although the box was a little damaged during shipment, its look lived up to my expectations. Similar to my OnePlus 2 packaging it has a beautiful simplistic design. Unboxing and assembly was straightforward and very easy. They attached a manual with images of the necessary steps and download links to the companion app (which I didn’t try yet). They even included a _lens cleaning cloth _which is a nice touch since these lenses collect dust very easily in general. OnePlus teamed up with the VR specialists AntVR to build this limited edition VR headset. The launch event will be held at a virtual space station called the Loop, for more information click here. 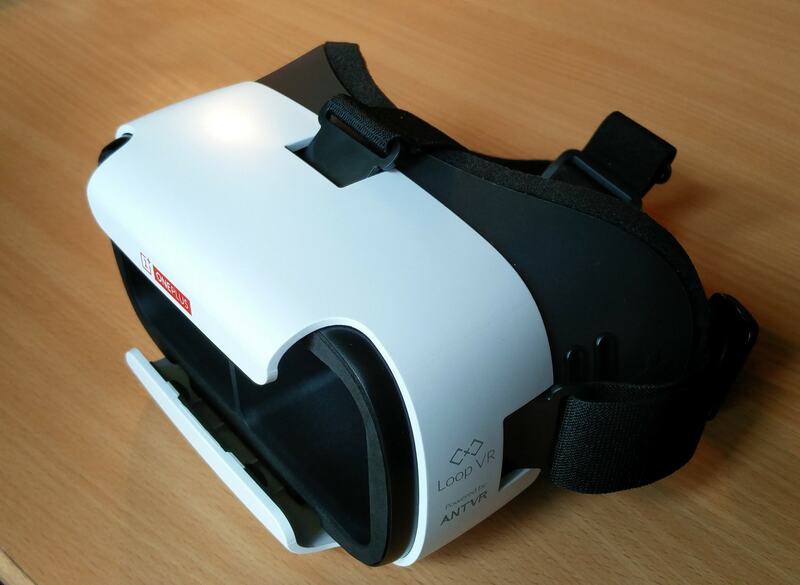 Much like the Samsung Gear VR, the OnePlus Loop has a head mount and accepts any 5″ to 6″ phones as a display. There is also an option to change the distance of the lenses but not much. I used my OnePlus 2 device for testing. As a test I downloaded and watched their previous product launch. Ironically while watching the video I got distracted by a couple of things they said but didn’t quite match my experiences with the phone. The headset can be used with any other Virtual Reality app, but if you do that, you’ll need this (unofficial) Qr code for configuration. It is very comfortable to wear, except at the nose part, where there is no foam. It presses my nose a little too hard but I think I can get used to it. The loop itself has a gorgeous design and a sturdy build. 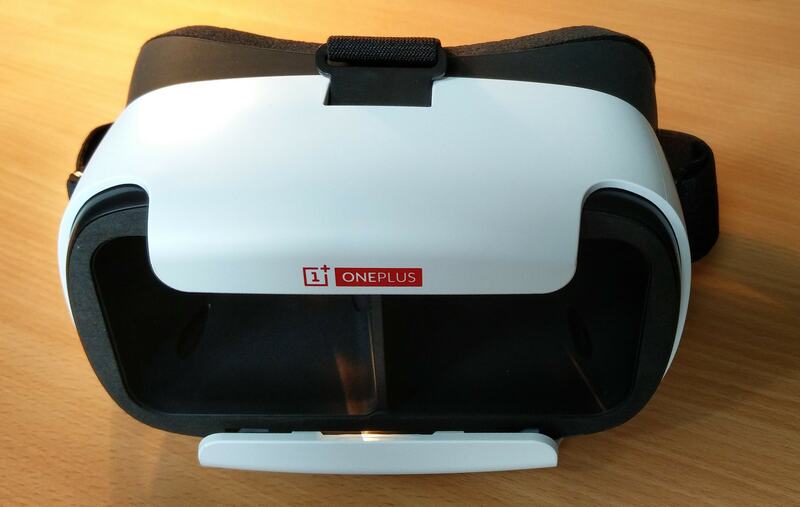 It’s a lot more massive than a cheap Google Cardboard which given the production cost is no surprise. 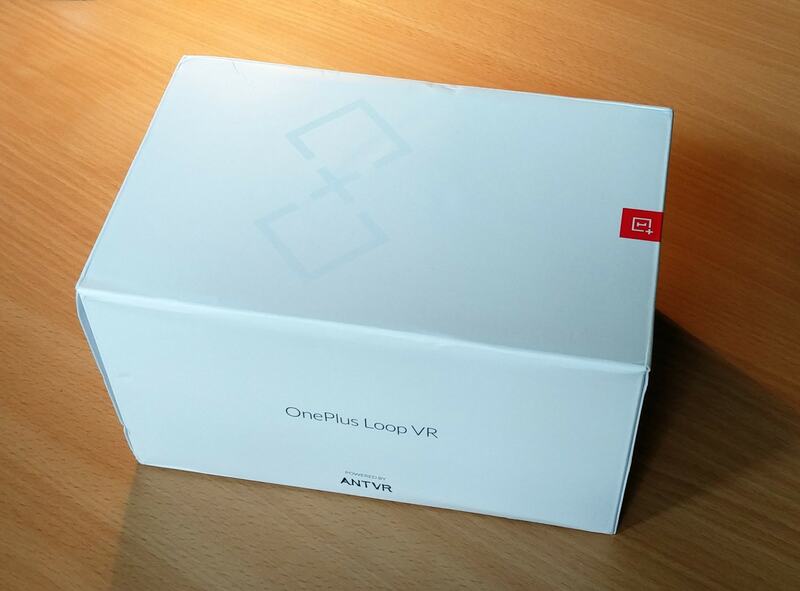 I had a very good experience with The OnePlus Loop. It has premium build quality as one would expect from this company and it’s comfortable to wear for longer periods of time. In spite of all that I wouldn’t buy the OnePlus 3 however good it may be since I already have a OnePlus 2, the supposedly “2016 Flagship Killer”. But the headset itself will give me the opportunity to view the launch in high quality which will be without a doubt spectacular. However for me its best use will be the ability to develop VR content for phones.